When Steve Easterbrook took over as president and CEO of McDonald’s in spring 2015, the world’s most recognizable fast-food chain was in the midst of an identity crisis. Chipotle Mexican Grill and its fast-casual brethren were being hailed as the cooler, healthier dining option, with hormone-free meals and stores that resembled lounges and cafés more than utilitarian pit stops. In Asia, it faced a food-safety crisis after OSI, a supplier that had worked with McDonald’s since the days of founder Ray Kroc, was found to have repackaged old meat for sale. And months before Easterbrook’s first day on the job, McDonald’s posted its first annual drop in same-store sales in 12 years. According to Euromonitor, the chain’s market share of the U.S. fast-food market slid from 17.4 percent in 2012 to 15.4 percent in 2016. “The pace of change outside McDonald’s had been quicker than the pace of change within,” says Easterbrook, a decades-long McDonald’s veteran, who, before taking over, had been credited with revitalizing the company’s U.K. business. He quickly set the course for a rigorous turnaround in global operations that refocused the company’s vision -- and the results have pushed the Golden Arches to the top of this year’s Franchise 500 list. The company has been on a hot streak, giving consumers their much-­requested all-day breakfast, as well as value items it once took away. Having hit upon a sweet spot between value and quality within its menu, store sales at McDonald’s 37,000 global restaurants are now up 6 percent, according to its third-quarter 2017 results. And thanks to hitting its target of selling off more than 4,000 company-owned stores to franchisees, earnings per share soared more than 50 percent from the previous quarter. Easterbrook has also been plowing more than $1 billion into McDonald’s stores to reimagine them as “experiences of the future,” complete with touch-screen ordering kiosks and meal delivery. Meanwhile, Chipotle, dogged by a string of E. coli and norovirus outbreaks, was recently blamed for the “near-death experience” of an actor on The CW’s Supergirl. Its stock price tumbled for almost eight consecutive quarters before bottoming out last November. The tables, it seems, have turned. Within three months, Easterbrook began stripping away layers of bureaucracy from McDonald’s global operations. He regrouped and consolidated each market segment by need, instead of by geographic region, which had become inefficient over time. 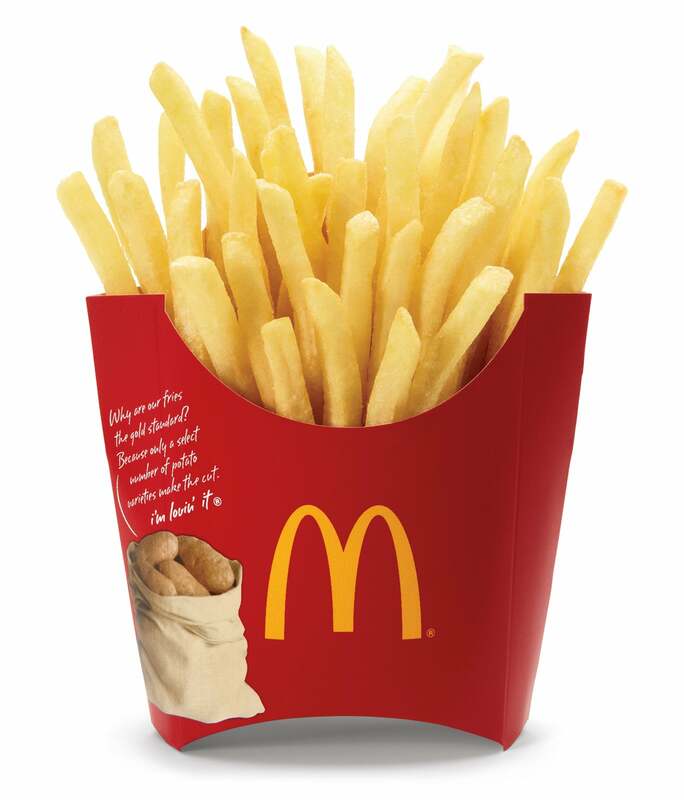 As a result of the move, for example, McDonald’s split China and South Korea out of its former Asia/Pacific/Middle East/Africa (APMEA) region and moved them into its “high-growth” category, along with other markets with franchising potential, including Italy and Spain, and the president of the APMEA region became lead for the high-growth group. Easterbrook then made delivery a global goal, creating a cross-functional “fast action” team of executives whose specific regional experience could now be tapped and extrapolated globally across the organization. “It’s incredibly energizing,” Easterbrook says. The CEO also supercharged McDonald’s plans for selling its company-owned stores to franchisees. When he took over, the goal was to sell 1,500 restaurants this way annually. Easterbrook shifted that to 4,000 and gave the company until 2019 to do it. His plan, as it turned out, was insufficiently ambitious. McDonald’s crossed the threshold nearly a year ahead of schedule. This was realized, in part, thanks to a blockbuster deal struck in August to sell roughly 2,740 restaurants in Hong Kong and mainland China to the state-owned Citic and privately owned Carlyle Group, creating the company’s largest franchisee outside the U.S. Working through this deal, McDonald’s hopes to open 2,000 more restaurants in China over the next five years to take a huge bite out of the country’s $125 billion fast-food market. The result of these sales: In just less than three years, McDonald’s increased the percentage of its franchised stores from 81 percent to 91 percent, with the goal of being 95 percent franchisee-owned -- bringing it closer to competitors such as RBI (Burger King, Popeyes) and Yum! Brands (Taco Bell, KFC), which are working toward being, respectively, 100 percent and 98 percent franchisee-owned. Why is this important? For one, it’s more efficient to let franchisees run stores, freeing up operating income and insulating the company, at least somewhat, from risk. According to Sara Senatore, a senior analyst at Sanford C. Bernstein, the New York-based investment management firm, this shift “typically has positive implications for the company’s financials over time. It generates higher returns on capital, and it tends to lower the volatility around their revenues.” And indeed, McDonald’s expects the new strategy to help save $500 million by the end of 2018 and make good on the $22 billion to $24 billion cash return it promised to shareholders by 2019. But it’s also key to Easter­brook’s vision of McDonald’s becoming faster and more adaptable -- to not only implement new changes but also make sure they’re implemented effectively. Local operators, after all, are the best judges of when and how to introduce new products and protocols to their local communities. 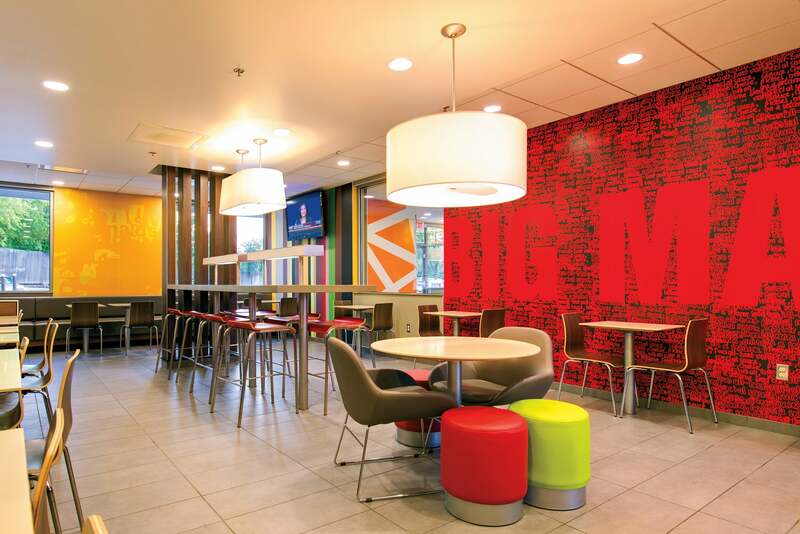 “By tapping into the entrepreneurial spirit of our [franchisees], they are going to help us go at a much faster pace than we would be able to do on our own,” says Chris Kempczinski, president of McDonald’s U.S. business. Another example of past mistakes corrected: Despite being known for its value, McDonald’s had nixed its Dollar Menu in 2013 because franchisees found it hard to profit off the items. Their hope at the time was to punch up at pricier competitors like Chipotle and Panera. Customers balked; they saw McDonald’s as a place for deals, and rather than spend more, they moved on to competitors like Wendy’s, with its four-for-$4 offer. So in 2017, McDonald’s introduced its mix of value items, from its McPick 2 offerings -- two-for-$2 and two-for-$5 deals that included favorites such as fries and nuggets -- to $1 coffees and sodas. This struck a balance of sorts: Customers could dine without splurging, and franchisees weren’t stuck with razor-thin margins. The company kicked off 2018 with new Dollar Menu products for $1, $2 and $3. McDonald’s is still looking for ways to reconcile low prices with a rising customer desire for quality (or at least an intensifying disinclination toward harmful ingredients). In March 2017, it said it would start making certain sandwiches, including the Quarter Pounder, with fresh beef to order -- and would roll that out to most U.S. restaurants by 2018. In response to concerns about antibiotic resistance, it also said it would eliminate the use of chicken exposed to certain antibiotics in the U.S., Brazil, Canada, Japan, South Korea and Europe, with the goal of eliminating them from all stores by 2027. The last piece of McDonald’s puzzle is technology. In the past year, it has rolled out app-based delivery to 10,000 restaurants in 20 countries to boost its sizable delivery business. Asia and the Middle East alone logged nearly $1 billion in deliveries. The tech makeover also includes outdoor and indoor digital menu boards, and ordering kiosks. This isn’t the only issue McDonald’s must contend with. It’s also facing ongoing battles over worker wages, and whether it should be held responsible for what franchisees pay employees -- sticky legal, financial and social issues that may continue for years to come. Still, if McDonald’s track record is any guide, it will evolve accordingly and close rifts with franchisees enough to boost its bottom line. After all, franchisees also raised concerns about all-day breakfast -- which started McDonald’s toward its recovery. For more on franchises, check out 2018's Franchise 500 list here.